Everyone needs a place to feel safe and secure, where they can open up to truly be themselves. Sadly, for the countless pets living in the loud, chaotic confines of animal shelters, coziness and calm like that can be hard to come by. 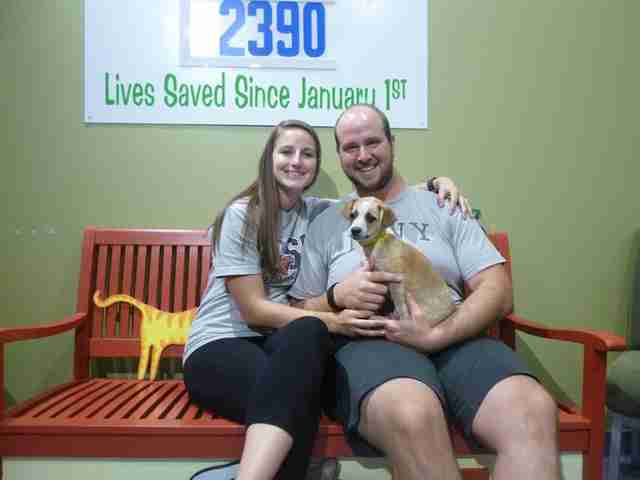 Fortunately, one shelter in Ohio found a way to give their adoptable pups just what they so dearly long for - the feeling of a normal life. 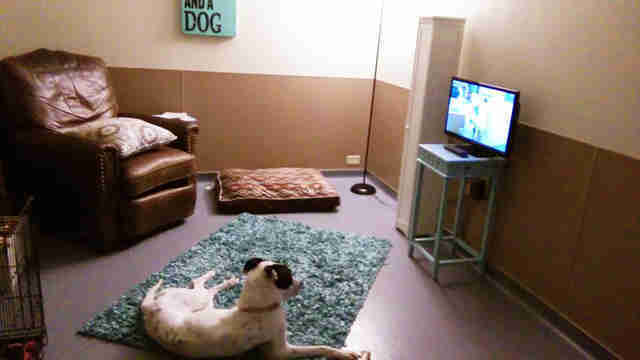 Dogs at the Toledo Area Humane Society now have the chance to step away from their cramped kennel to spend time in the facility's new "Real Life Room," a space designed to look and feel like a forever home. "We basically took an office here and turned it into a living room," a shelter staffer told The Dodo. "We have a recliner, a rug, some pillows and a TV. One of the best things is the lamp we put in there. That means we can turn off the florescent lights and have more soothing lighting in the room." The concept is wonderfully simple, but it can make a big difference for animals who often have a difficult time coping with life behind bars - especially those who have been having more trouble than most finding a real home of their own. "It gives the dogs a nice break from being in the kennels, where it's noisy and they don't have very much space. 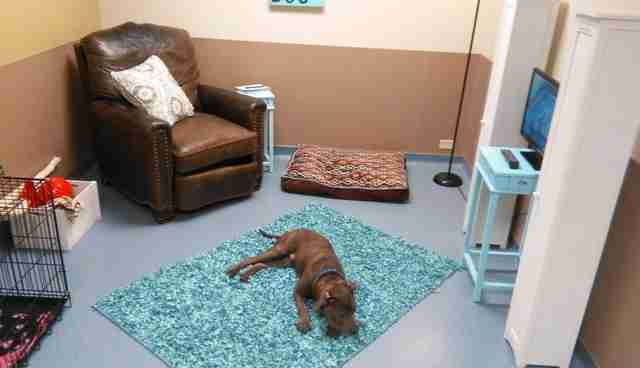 They can go in there and relax by themselves or with a volunteer," the staffer said, noting yet another benefit. "We get a better picture of how these dogs will actually act in a home. That gives us a better sense of the type of personality the dog has." This isn't the first shelter to have built such a room for the sake of its lonely pets - and that's probably because it works. 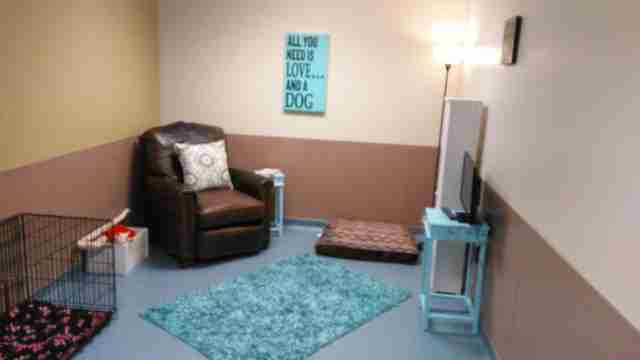 It's been less than two weeks since the Real Life Room was installed in the Toledo Area Humane Society's new facility, and in that time, it's already being credited with helping dogs find real homes for good. "We've had several animals that had just been in there, then got adopted shortly after walking out," said the staffer. "It's amazing. We're so happy to have this room." We hope to see this concept catch on around the country, but until then, there are still plenty of other ways everyone can help lonely shelter pets feel loved. The best among them? Adopt, don't shop.